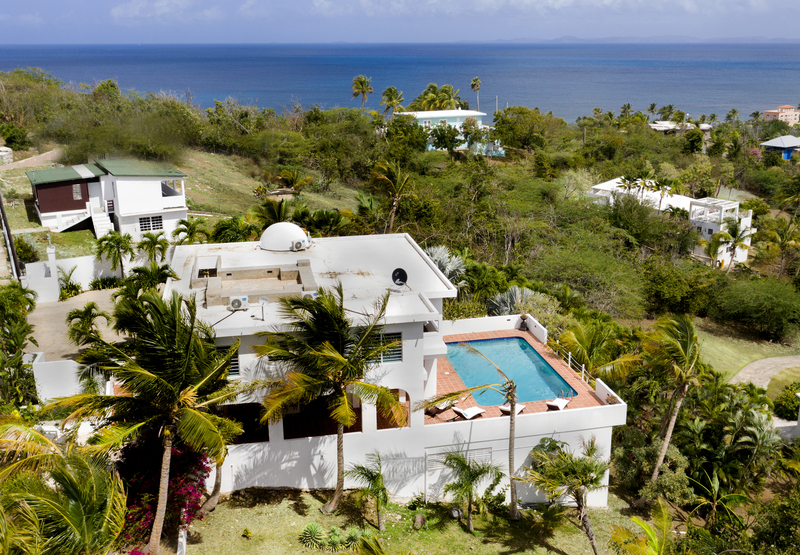 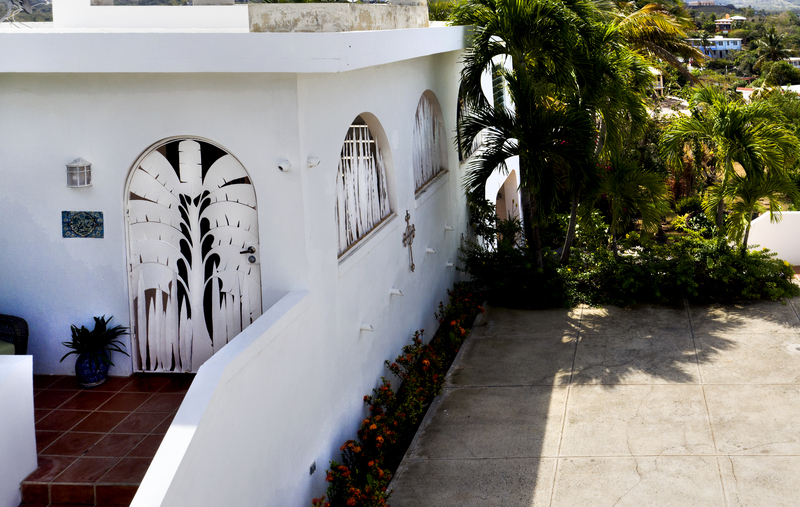 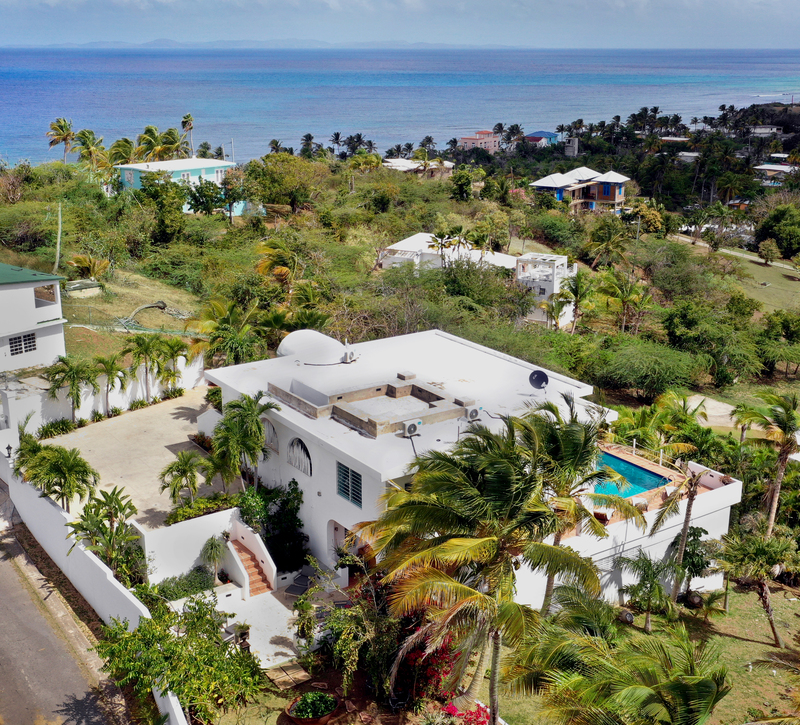 Villa Tres Arcos is a private, gated estate located high on a hill with amazing views and breezes in the well known Beachside Village of Bravos de Boston. 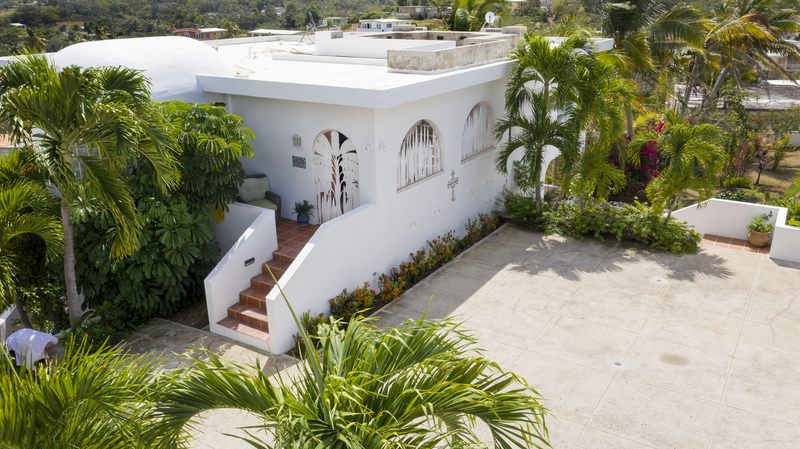 This home is also a very successful income producer. 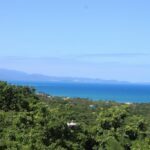 Walk to area beaches and town with shopping, art galleries, gourmet food stores, grocery stores, restaurants and the ferry station from your villa. 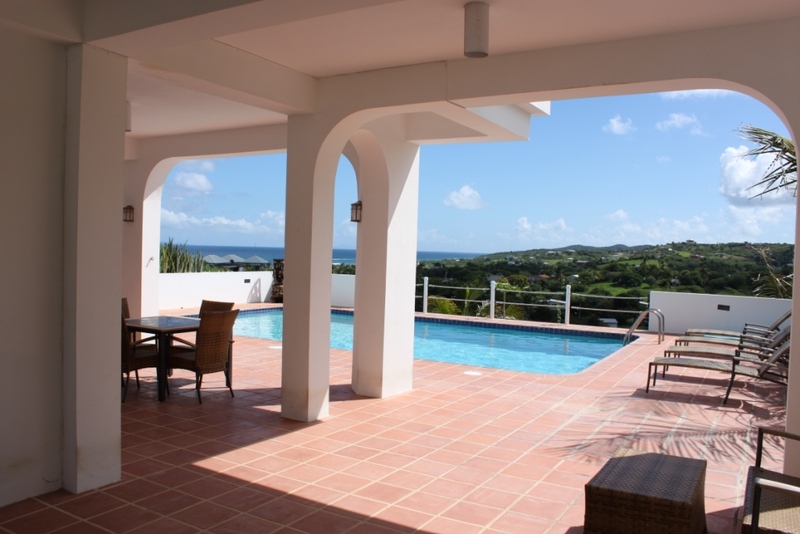 The house has three bedrooms with three and one half bathrooms boasting views as far as the eye can see. 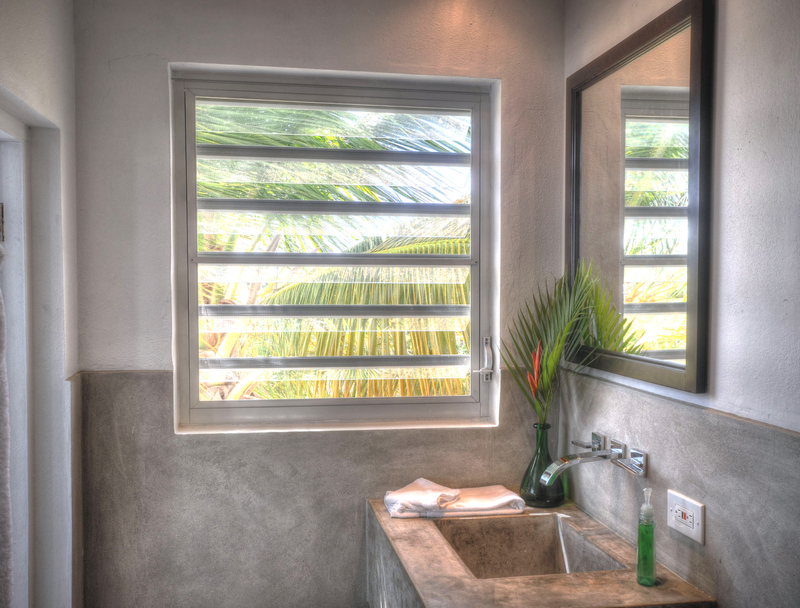 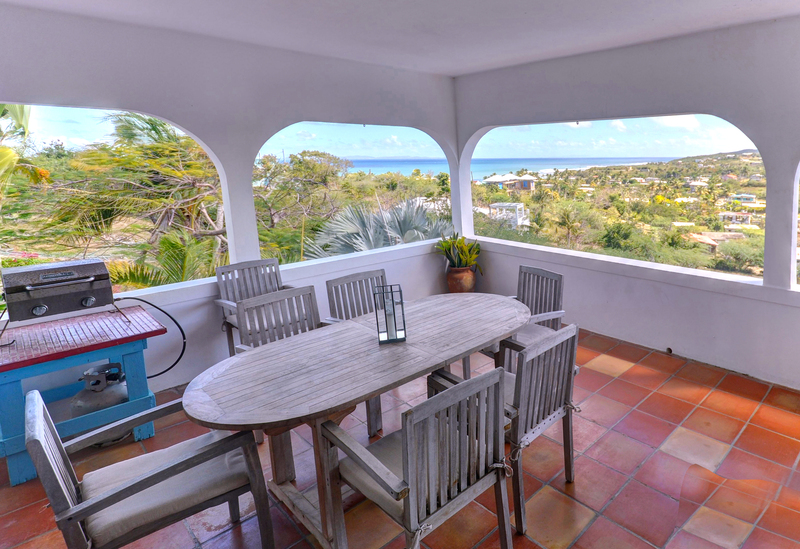 The views include the Main Island of Puerto Rico, Culebra, St. Thomas and the blue waters of the Caribbean. 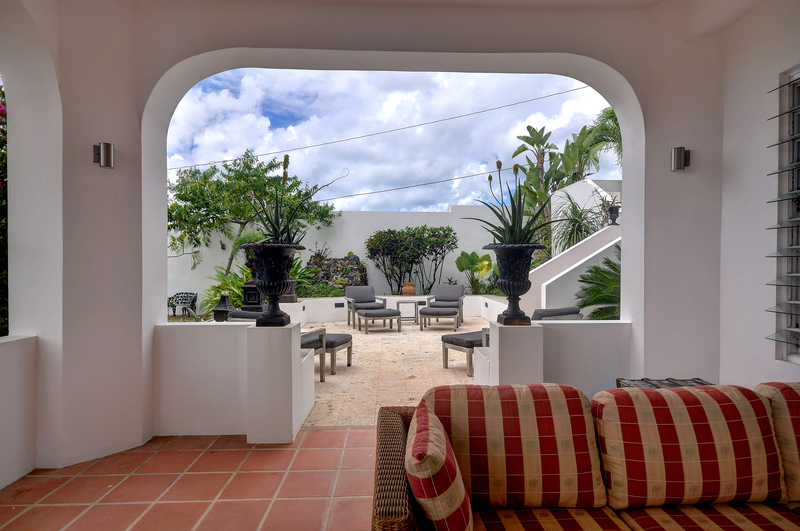 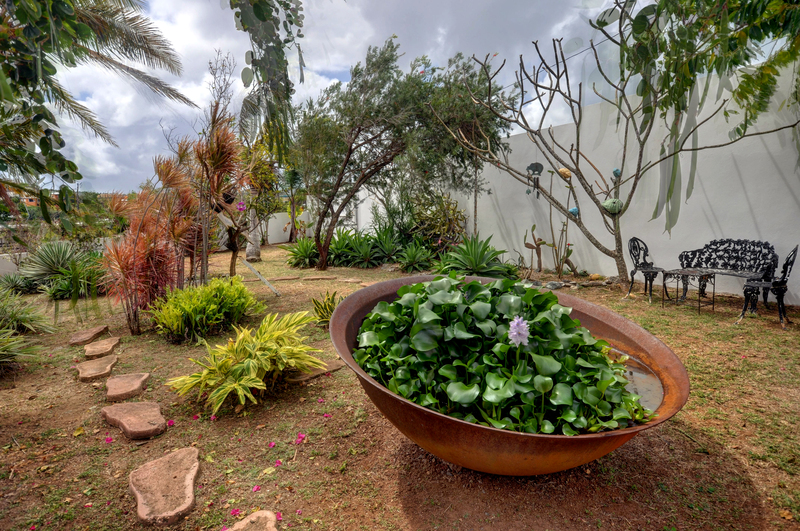 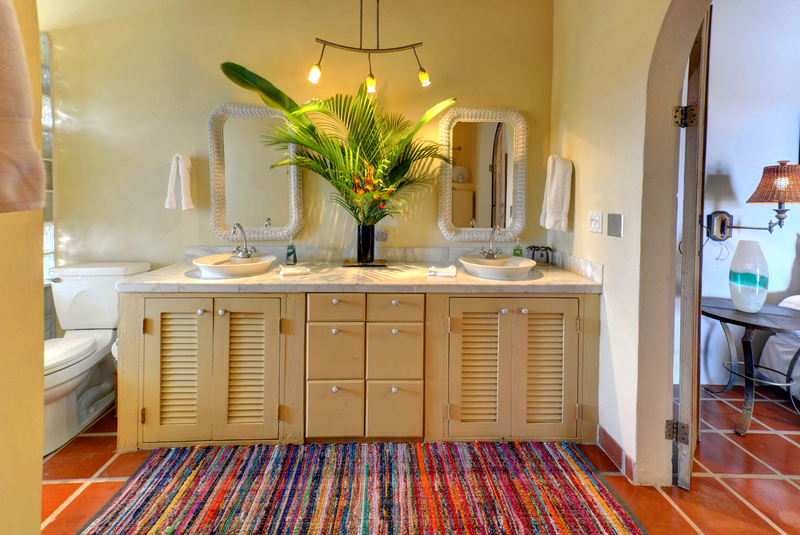 Villa Tres Arcos is a one third acre of very private landscaped lawn accessed through an electronic gate with many mature plantings. 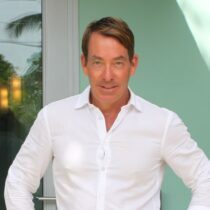 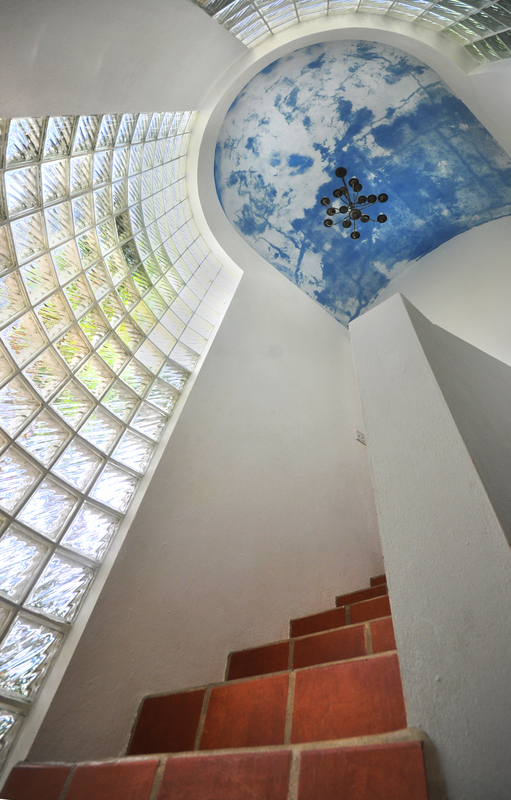 You enter at the main level of the house through a breezeway with custom designed shades by well known New York artist Brook Grant. 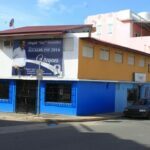 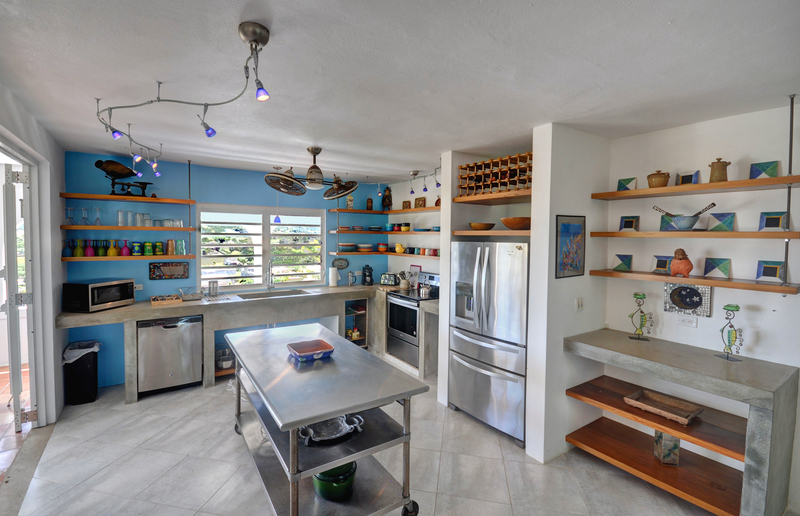 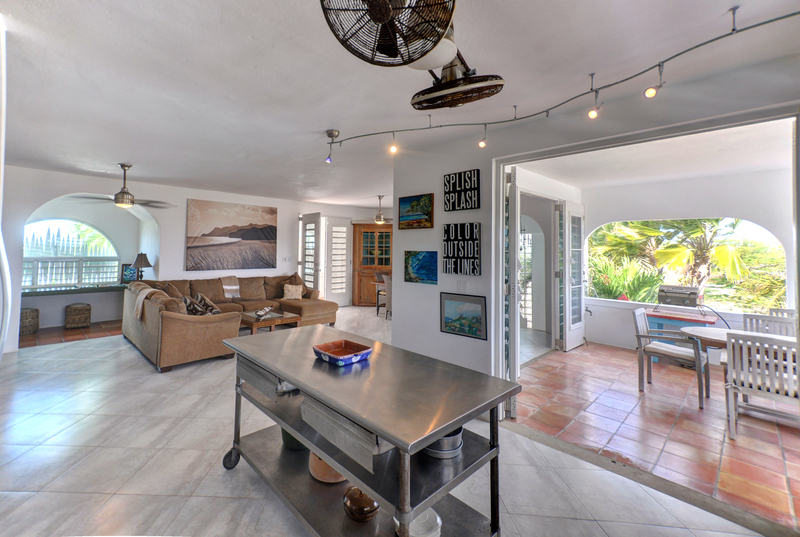 The living and dining room as well as the newly renovated kitchen with concrete counters and tropical hard wood shelving all have stunning ocean and mountain views. 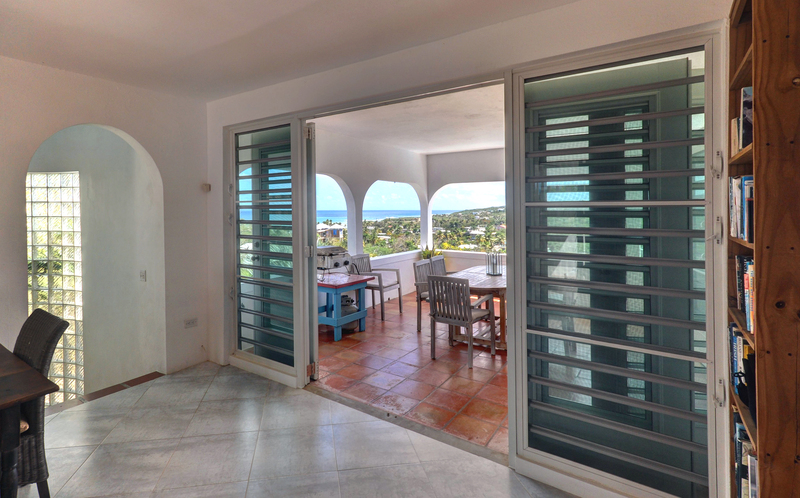 The spaces are very large and open and sweep out to terraces that take full advantage of the Trade Winds. 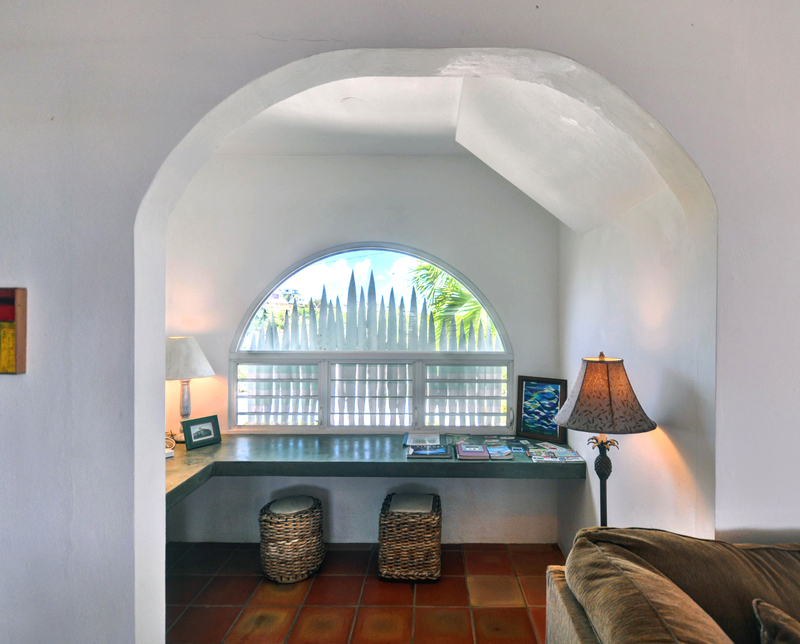 There is an office off the main living space. 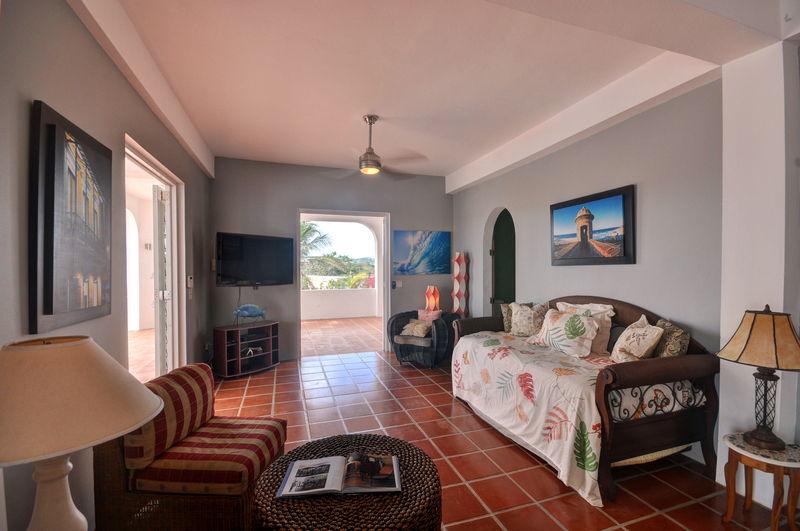 Also on the main floor are two bedrooms and one and a half bathrooms both with gorgeous ocean views. 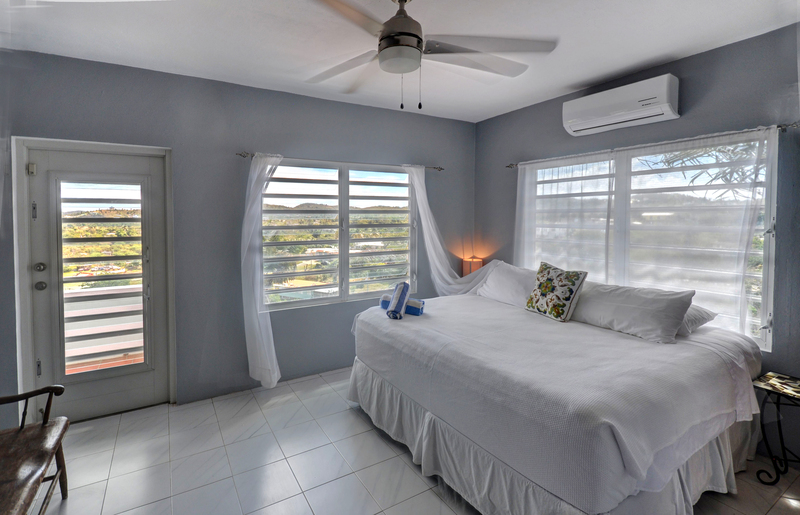 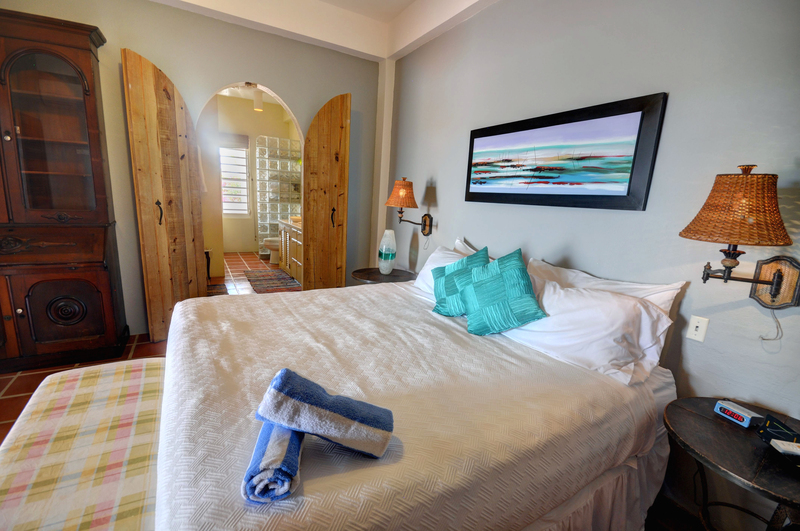 Both bedrooms are air conditioned and with King size beds. 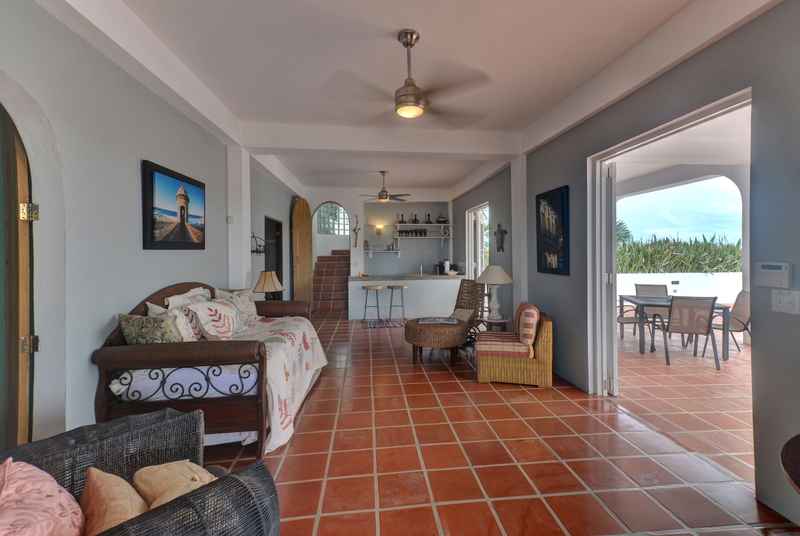 The lower level of the home or Entertainment lounge has two sets of double doors opening to a covered pool terrace. 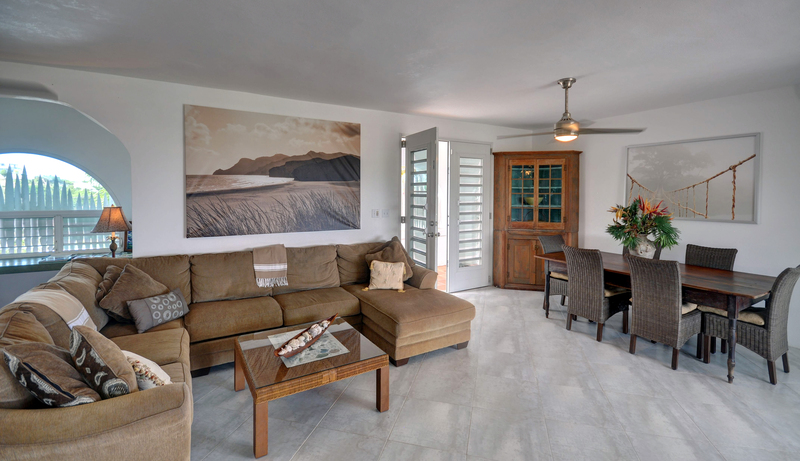 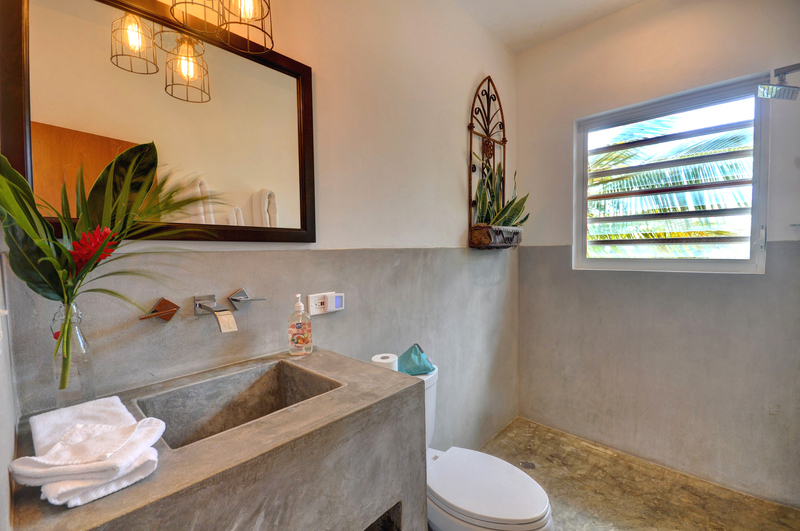 The inside lounge is a perfect TV space and has a full wet bar as well as a half bath. 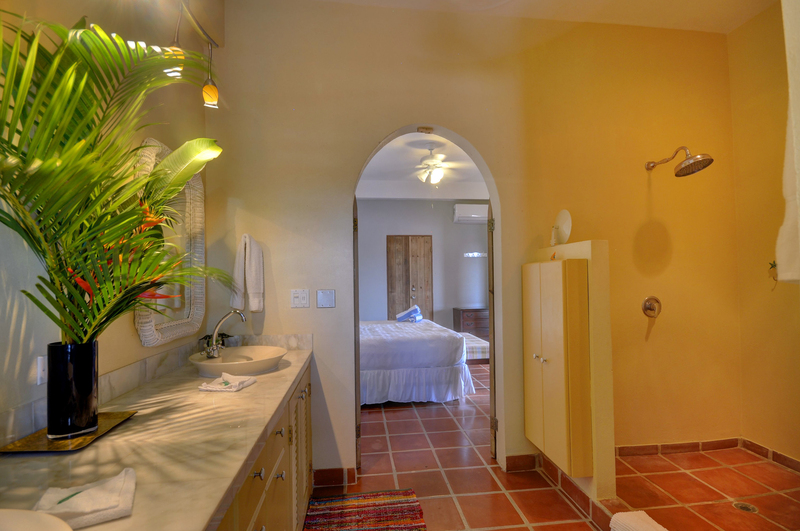 There is a master en suite at this level that is air conditioned and the bathroom with marble counters has two sinks. 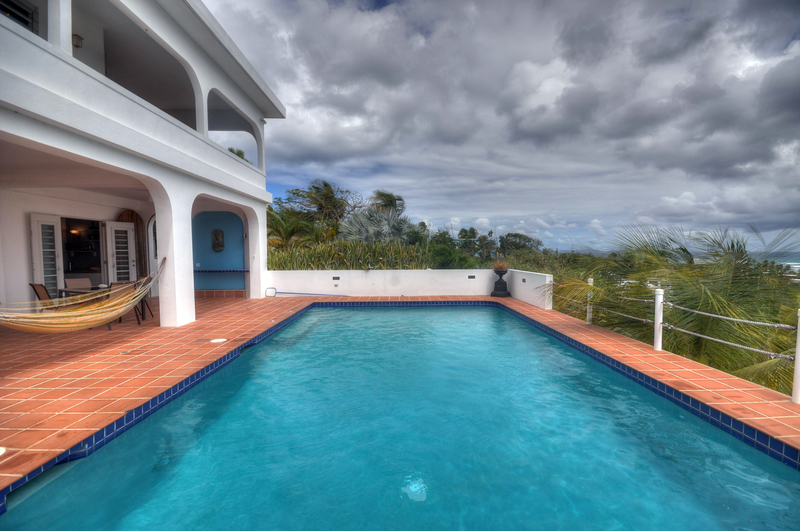 The swimming pool at Villa Tres Arcos clinging to a hillside is truly a marvel. 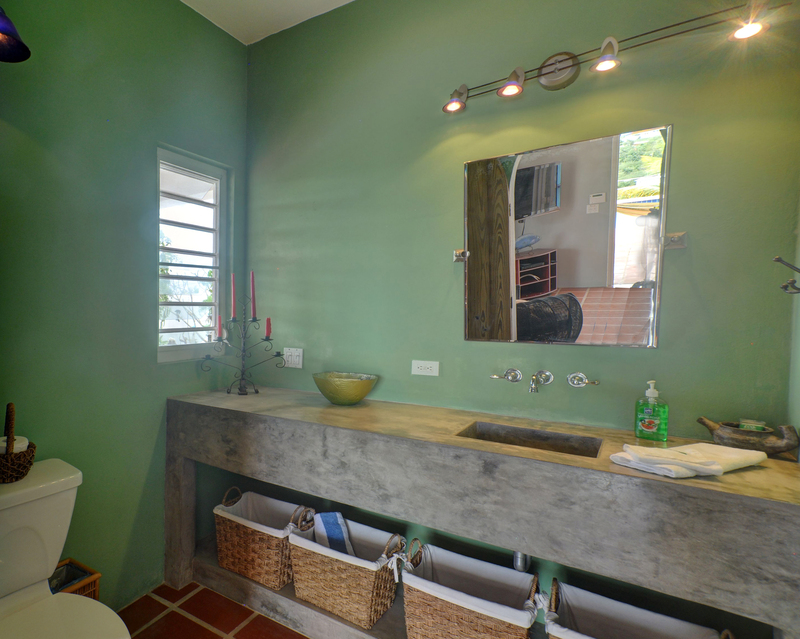 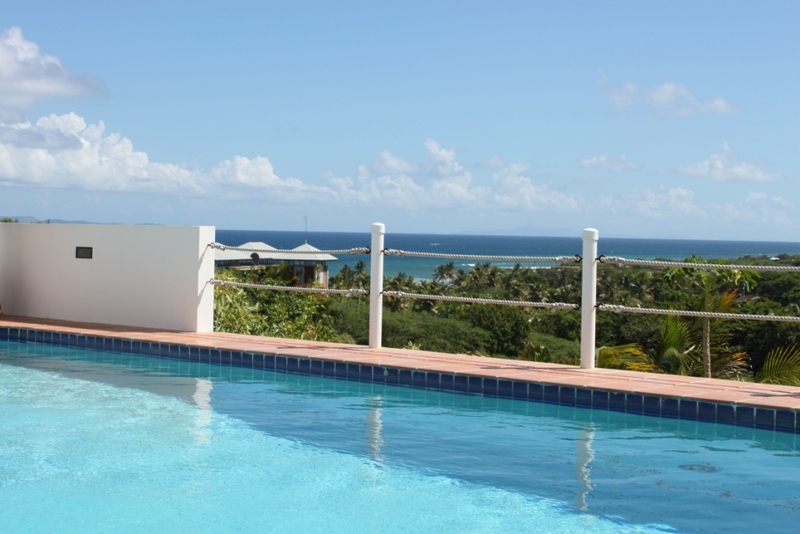 Not only one of the largest swimming pools on Vieques, it is very deep for diving, has an outdoor shower, multiple outdoor seating areas both covered as well as sun decks and views to the North shore with amazing sunrises. 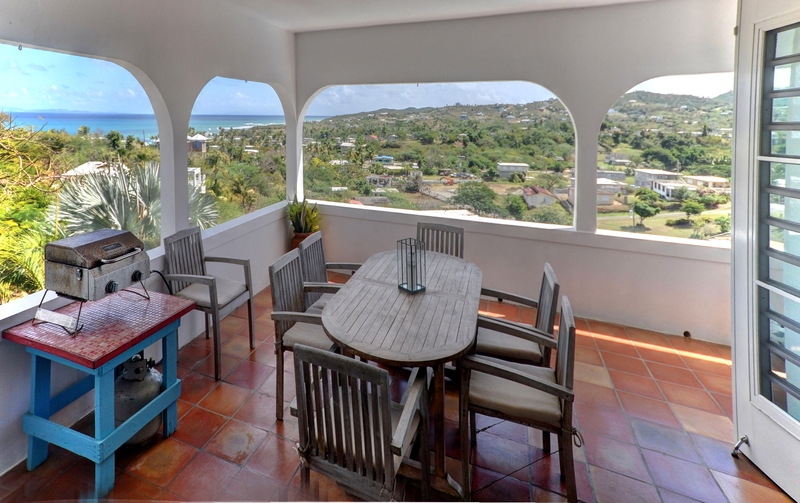 There is a roof top terrace that is the perfect night time place for star gazing and enjoying a meteor shower. 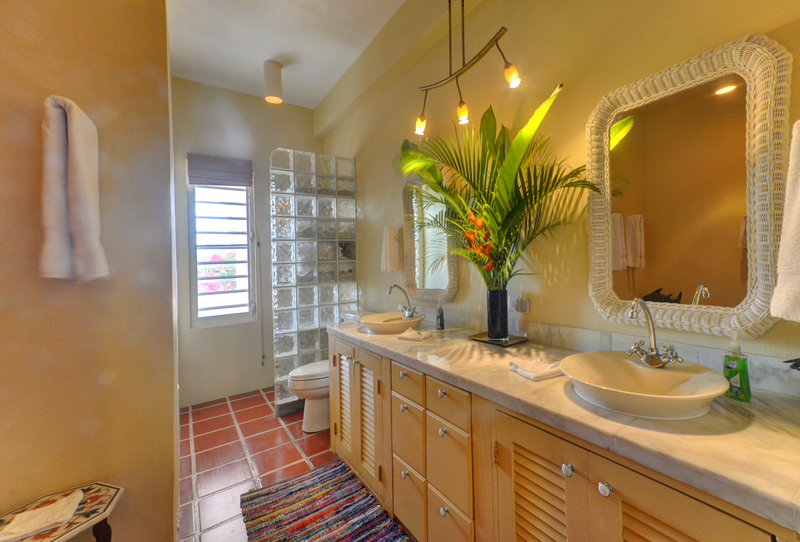 You can also enjoy the twinkling lights of the main island of Puerto Rico, Culebra and St. Thomas. 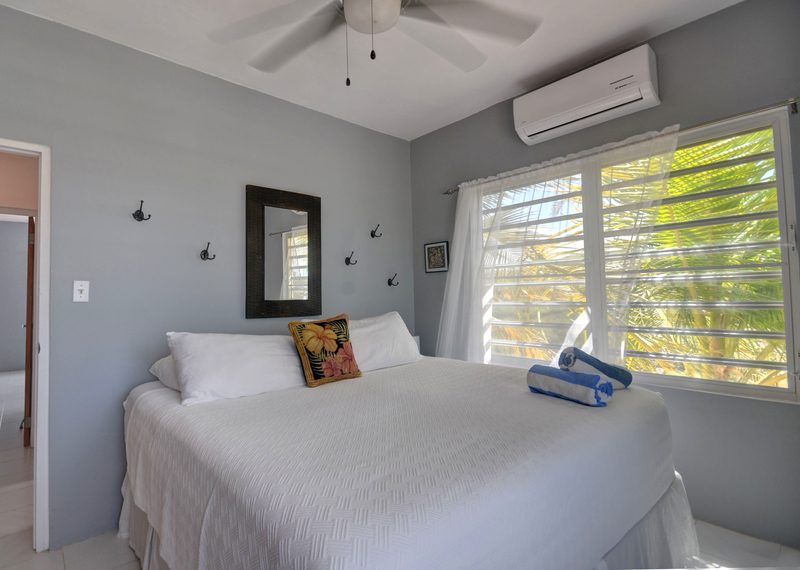 There is a large storage and laundry room below the swimming pool that is perfect for toys such as kayaks, bicycles and paddle boards. 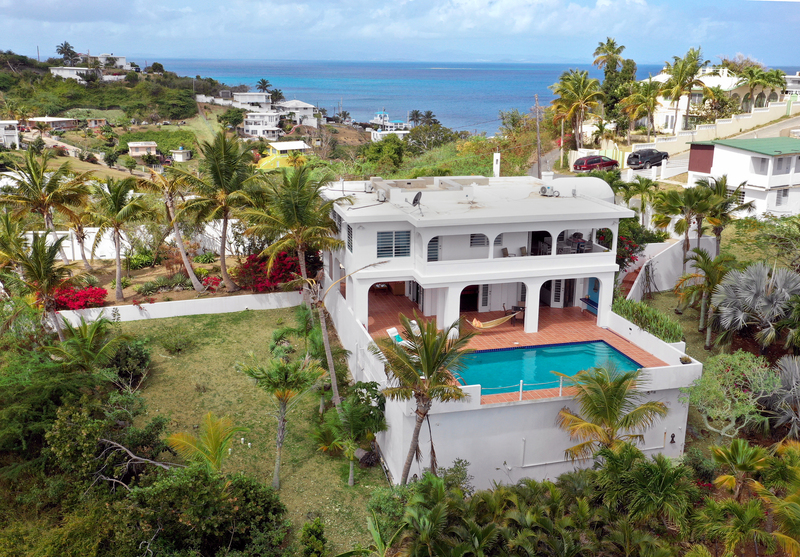 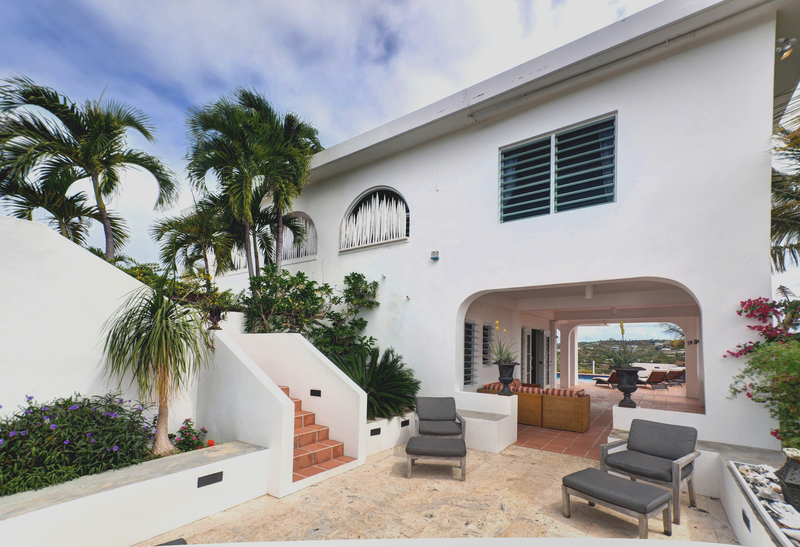 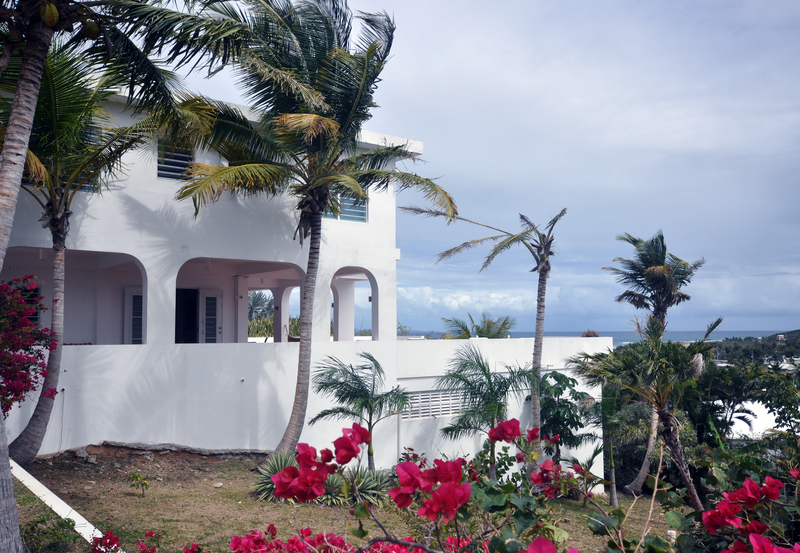 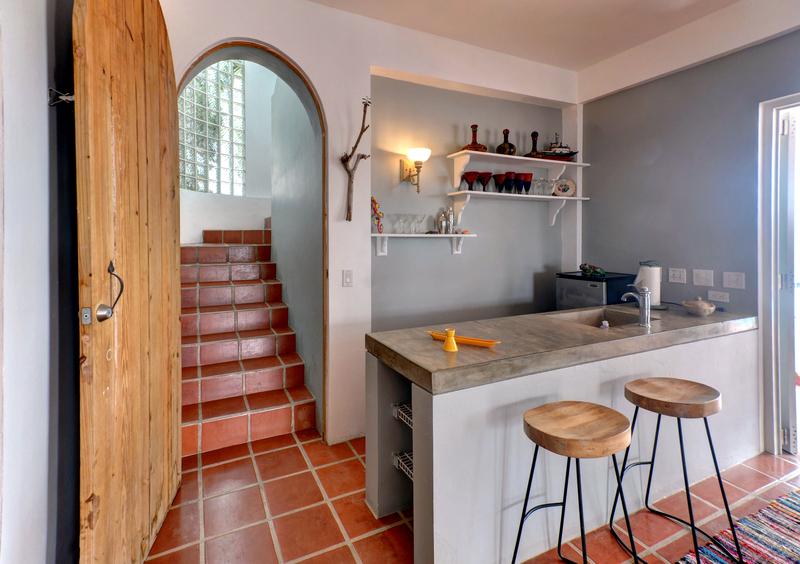 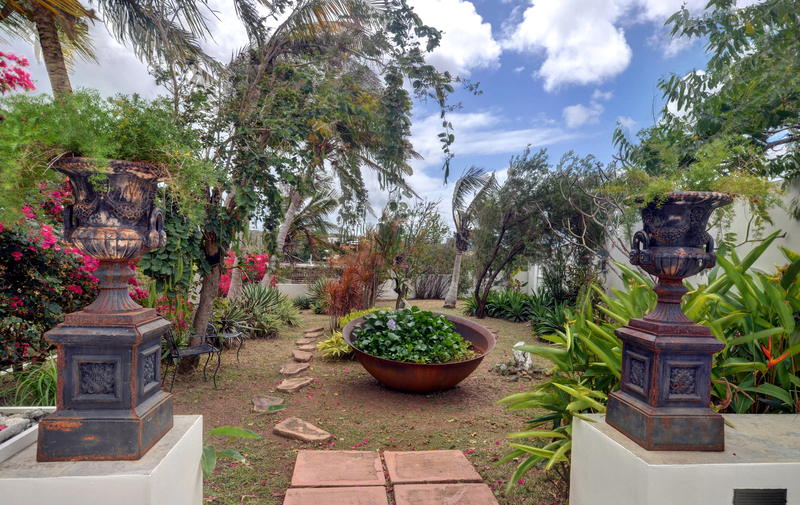 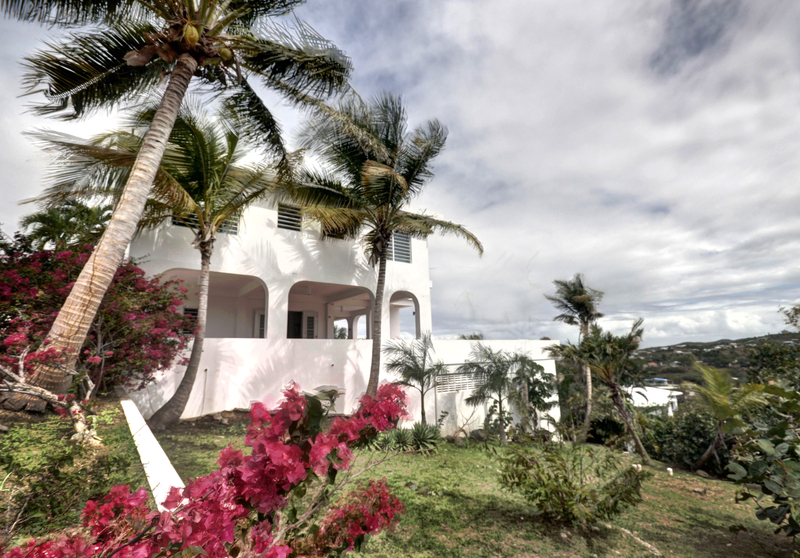 For your exclusive showing of this remarkable Vieques Island Estate call or email us at Bravos Boyz Real Estate and Property Management today.